I bet you have set a goal or determine to follow a plan, but in the end, you don’t do it. You procrastinate and choose to wait until a later time. Procrastination is one of the most common reasons people fail to reach their goals. And to overcome procrastination, we need to understand what causes it. Everyone procrastinates. Even the most hardworking and productive person procrastinates once in a while. In fact, it is alright to procrastinate, such as if you creatively procrastinate to recharge your energy so that you will have better energy to work on your following tasks. The problem with most people is that they have no idea why they procrastinate and how to overcome it. They allow procrastination to govern their lives rather than using procrastination to help them reach their goals and live the life that they desire. And to know why you procrastinate and how to get rid of it, you must understand the causes of your procrastination. Yes, everything that we do in our lives, we do it according to these 2 forces, pain and pleasure. Think about it, why do you procrastinate? It is because you feel the pain and that you don’t want to do the work. You choose to do other things that are more pleasurable. Until a time when the pain is greater than the pleasure, you will resolve to do the work. For example, why do you think people smoke even though they know that smoking can kill them? Well, to the people who smoke, it is a fun and pleasurable activity. They feel ‘cool’ when the stand in style and light up a cigarette. They feel great when people look at them and they feel people respect them and that they look mature. Regardless of whether their feelings are real or not, it doesn’t matter for now because they do it for the pleasure. Until a point when they are diagnosed with lung cancer that they have to stop smoking immediately, or else their life is at risk. When this time comes, their pain to avoid smoking becomes greater than the pleasure they receive. And thus, they stop smoking. This, is the power of pain and pleasure. So why do you put things off until a later time? When you have no choice and you can’t delay the task anymore, you choose to do it even though you feel like doing it. It’s all about the pain and pleasure, my friend. Tony Robbins says it absolutely right, if you fail to manage these 2 forces in your life, they will control you. Therefore, learn to control and use the pain and pleasure so that you are the one who is in charge of your life, not them. Everything that we do in our lives is to either avoid the pain or to gain pleasure. When you choose to eat the whole plate of chocolate cake, you know that it is to gain the pleasure of eating something sweet and delicious. And what if you don’t feel like exercising? Well, the sign is clear, you just want to avoid the pain of going through the hard work. This explains why most people are not successful because they don’t know how to govern the pain and pleasure in their lives. For instance, people choose to watch YouTube rather than reading a book because watching YouTube videos are fun. And most people rather spend time playing games than spending time building their business. If you are a blogger and your goal is to grow your blow, what will you choose to do, do you choose to play games or to write a blog post? What you choose to do say a lot about you. You must learn to use your pain and pleasure to work for your goals and objectives in life, not against them. There you go, the above quote says everything about avoiding procrastination and working hard. The key is how do you turn your pain to pleasure? How do you put yourself to work on things that seem painful to you that you want to procrastinate? First, what you can do is to define the meaning of pain and pleasure differently. For most people, writing an article or writing a book is painful. They choose to watch the TV rather than to sit down in front of their computer and start typing. However, for a small group of people, they define writing differently. They don’t look at writing as something painful, but as something pleasurable. This is where your passion comes to play. For people who love to write, writing is not something painful, not having the chance to write is painful. Thus, what you can do is to define the meaning that you give your task in a different way. If you think that reading is boring, just change the meaning. Make yourself to believe that reading is something fun. For instance, most people think that working is boring and something that they don’t want to do. Work equals pain. And you can change the meaning. Working doesn’t need to be something painful. It can be something pleasurable. If you can connect your passion with your work, you will love your work. This is why extraordinary people like Steve Jobs, Warren Buffett, and Elon Musk, they love their work so much that they are willing to spend hours and hours doing their work. To these people, they believe that work is something pleasurable, not painful. The second suggestion you can make use of pain and pleasure to help you reach your goals is to add pleasure to your pain. “In peak training phases, Phelps swims minimum 80,000 meters a week, which is nearly 50 miles. He practices twice a day, sometimes more if he’s training at altitude. Phelps trains for around five to six hours a day at six days a week. Going through the training can be tough. It is a painful job. Just like hitting the gym to lose weight, it is not something pleasurable. However, what helps Phelps goes through his long-hour training is the waterproof headphones. The article nails it. Swimming in the water for long hours can be boring, and thus, listening to music gives a little spark to Phelps in his workout. Phelps listens to music (pleasure) in his training (pain). Phelps certainly knows how to add pleasure to his pain. You can do the same too. Find a way how you can add pleasure into your pain. Or find a way to make your pain more pleasurable. When I was in the secondary school, doing the Math homework is boring. What I did then, like Phelps, is to play music as I’m doing the homework. The key is to make the process fun. In other words, make the painful process fun with pleasure so that you will be more willing to do the hard stuff. Pain and pleasure are modulated by time. According to this article from TitaniumSuccess.com, it says that timing matters when it comes to avoiding pain and to gain pleasure. “We focused on avoiding immediate pain and we are trying to attain immediate pleasure. The closer something is to this moment, the more pain or pleasure we attach to it. Therefore, pain tomorrow is not as powerful of a force as pain today. Pain in a decade is absolutely far less motivating (or demotivating) that pain a week from now. This literally explains why most of us fail to reach out goals. When we set a goal to achieve in the future, the event is happening far away. We don’t really feel the pleasure because it is in a distant future. And when we want to work on our goal, it is immediate. We have to focus on doing the work right now in order to achieve the result we want in the future. Hence, this causes us to procrastinate. We rather choose to work on something that gives us immediate pleasure although we may have to suffer the pain in the future. What you can do then is to focus on the future that you want. Imagine what will happen if you procrastinate right now. 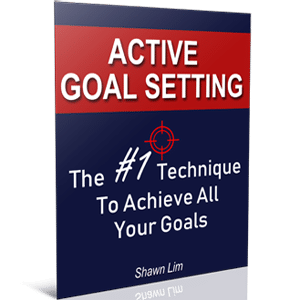 What will happen if you fail to achieve your goals in the next 5 years? What if you don’t get the promotion that you desire? What if you are still doing the same thing at the same place as where you are right now in the next 5 years? Are you going to repeat this year exactly like your last year? Are you going to do nothing and let life controls you? When you imagine the future that you want, it gives you a sense of pleasure and motivation. At the same time, when you imagine the future that you don’t want, it makes you feel the pain. Seriously, do you want to live a mediocre life? What if all your friends are successful but you are not? How do you feel? Seeing yourself fail to realize your dreams make you feel the pain. And use this pain to drive you to act on your goals right now. Now that you understand what causes procrastination. So make good use of these 2 forces that control everything you do in your life. Always remember, we tend to do things to avoid pain or to gain pleasure. So use these forces to help you achieve the goals you want and not the other way round. Living a great and successful life is all about how you manage your pain and pleasure, my friend.